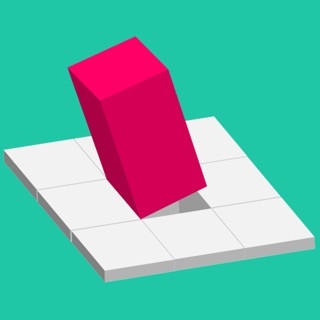 ● Exceptional mind polishing roll block puzzles! ● Collect coins to buy fancy Avatar blocks! ● Collect stars to unlock Expert Puzzles! ● Discover special puzzle cells throughout the journey! ● Best ever roll block puzzle! ● Exciting puzzle mechanics for real Block Masters! ARE YOU READY TO BECOME A BLOCK MASTER ? ● "Watch Solution" button is added. If you fail a level or cant get a star you can watch the solution. New improvements are on the way! This is a great game with just enough delight in it to be satisfying from animations to subtle sound effects. The combination of challenging puzzles/mazes with no time pressure dynamic (at least non I’ve seen so far) make this a very relaxing and fun game. The only reason I’m not tacking on the fifth star is because of the micro-transaction element. I get it. It’s challenging to turn a profit on any app, but I’d at least like a one time purchase price to just get everything the game has to offer in one go. Having said that, I’ve been looking for a game like this that I played around ten years ago. This is as close as I’m going to find. Looking forward to more updates!